The action fantasy anime Seven Deadly Sins will be getting a new season that promises to head towards the story’s climax. 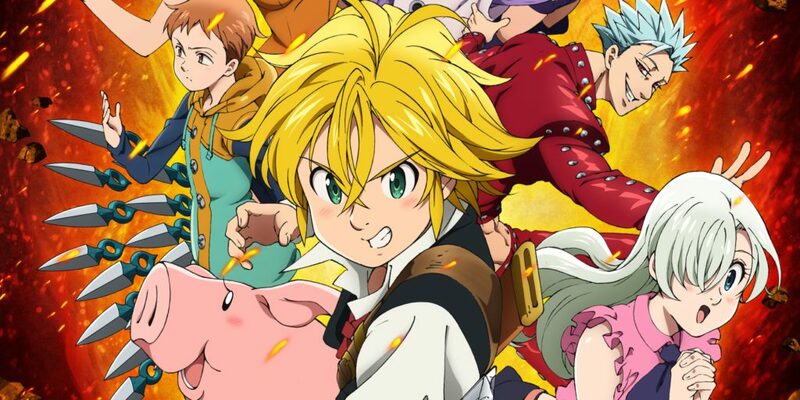 Studio DEEN announced on Monday that they will be producing the third season anime series titled Nanatsu no Taizai: Kamigami no Gekirin (The Seven Deadly Sins: Wrath of the God’s) which is set to premiere in the Fall. With a studio comes a new production team. Susumu Nishizawa, storyboard writer for The Seven Deadly Sins: Revival of the Commandments, is directing the new anime, with Rintaro Ikeda handling the series’ composition. Hiroyuki Sawano, Kohta Yamamoto and Takafumi Wads return from previous anime installments as the composers. Much of the cast will be returning including Yuki Kaji as Meliodas, Sora Amamiya as Elizabeth, Misaki Kuno as Hawk, Aoi Yuki as Diane, Tatsuhisa Suzuki as Ban, Jun Fukuyama as King, Yuuhei Takagi as Gowther, Maaya Sakamoto as Merlin and Tomokazu Sugita as Escanor. Manga creator Nakaba Suzuki plans to end the series in about a year, after about forty volumes worth of story. He had planned out the ending since the beginning of the manga and will give it send off worthy of a shonen magazine. The Seven Deadly Sins began serialization in Kodansha’s Weekly Shonen Magazine in October 2012 and currently has 36 tankōbon volumes as if March 31, 2019. The manga features a setting similar to European middle ages with its titular group of knights representing the seven deadly sins. The Seven Deadly Sins ran for 24 episodes in 2014 and 2015, followed by a four episode TV anime special titled “The Seven Deadly Sins: Signs of Holy War” in August 2016 and a second TV anime, The Seven Deadly Sins: Revival of the Commandments, in January 2018. Netflix has steamed all of the aforementioned series.